A hot air balloon festival was held locally this past weekend. This was the dawn liftoff at sunrise sunday,which was an absolutely gorgeous morning. 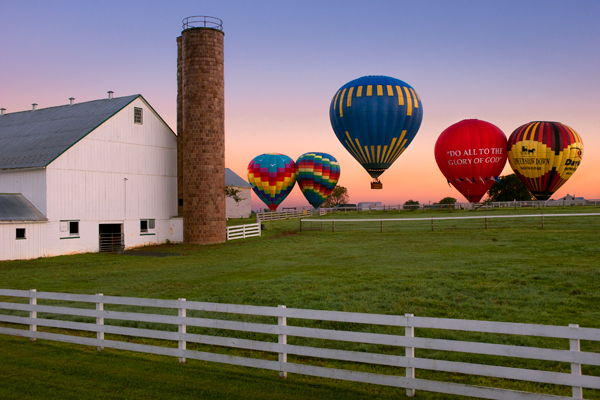 This entry was posted in Amish, Landscape, Photography, sunrise and tagged Farm, Glowing, hot air balloon, Landscape, Photography, Sunrise. Bookmark the permalink. Love the beautiful colors…one day I want to go up in one of those! Its a wonderful ride if you get the chance.